Can I Take Out New Credit Cards While I Am In A Bankruptcy? Not if you are in a St. Louis Chapter 13 bankruptcy. The court is very clear when it comes to taking on new debt like a credit card; you simply cannot do it. The reason for this is pretty simple: If you are in a repayment plan to pay back your creditors, then why in the world would the court want you taking out new debt that you would have to repay as well? Now of course, there are exceptions to this rule. For instance, if your car is totaled in an accident or it just stops running, you will probably need a new means of transportation. And unless you are in a position to buy a car outright with cash, then it is likely that you will have to finance the car. In this scenario, it would be necessary to file a Motion to Incur New Debt (yes, it is literally that fancy sounding). All you would need to do is pick a car out and get a Good Faith Estimate from the dealership (a document that lists the amount to be financed, interest rate, and monthly payment). Assuming the Chapter 13 Trustee does not have any objections to the Motion, you can get your car. Or another example would involve someone whose job requires that he/she keep a credit card on them to pay for traveling expenses (such as lodging, gas, food, etc. ), and the employer then reimburses the expenses that are charged. Assuming that the employer requires the employee to have such a card, the normal prohibition against taking on new debt while in a Chapter 13 is often waived by the court through a similar motion (like the one described above). Things are bit different in a St. Louis Chapter 7 bankruptcy. This type of bankruptcy is described as a discharge of debt, wherein your unsecured debt (credit cards, medical bills, payday loans) are knocked out. And it’s a relatively short process as well; from the time you file, to when you get your discharge, is about three to four months. Once you receive your discharge from the court, you will be flooded with credit card applications, so the opportunity to take on new debt will certainly be there if you so choose. 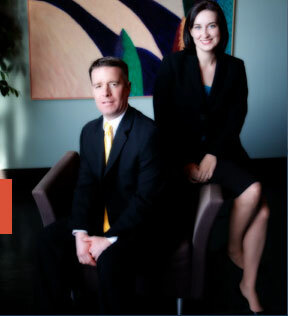 The St. Louis bankruptcy lawyers at Brinkman & Alter, LLC have been helping people get rid of their debts, while at the same time keeping all their assets and belongings, for over ten years. Our staff is ready to lead you through the process, and get you the fresh start / clean slate you deserve.